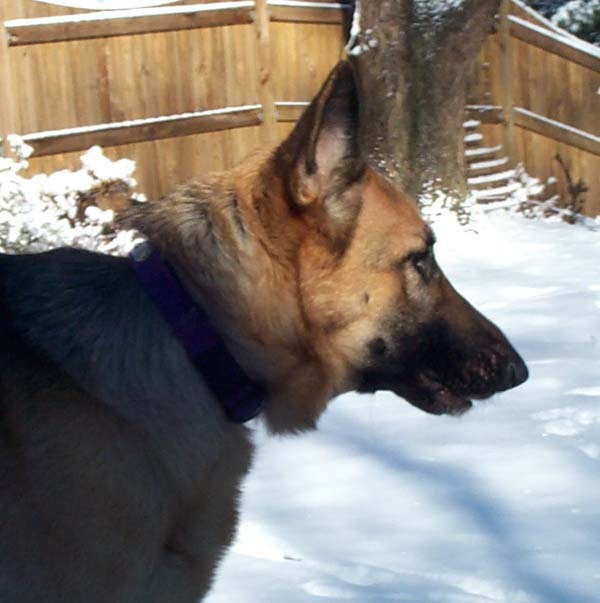 Sasha was a German Shepherd. We got her from a co-worker in 2000 when she was 4 years old. Like Elen, she was bred at Misty Ridge Kennels although she wasn’t related to Elen, and had a completely different build and temperament. Sasha was very tall and lean, about 29 inches at the shoulders. She was very vocal, often growling, whining, or just making noise for no real reason. Like the other dogs, she also went through obedience training and the AKC Canine Good Citizen Test. 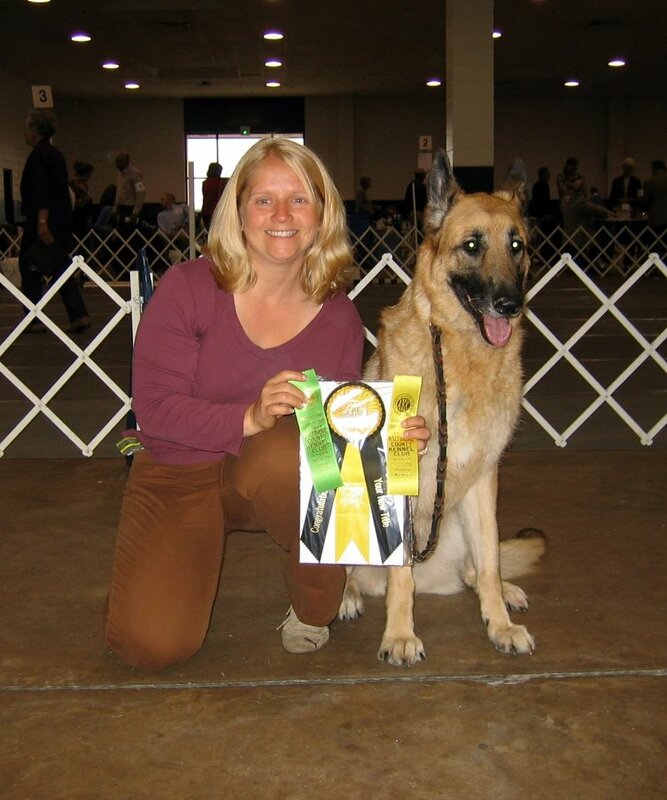 She worked so well with Dawn during her basic obedience that she went on to more advanced obedience training and earned an AKC obedience (CD) title in April of 2006. 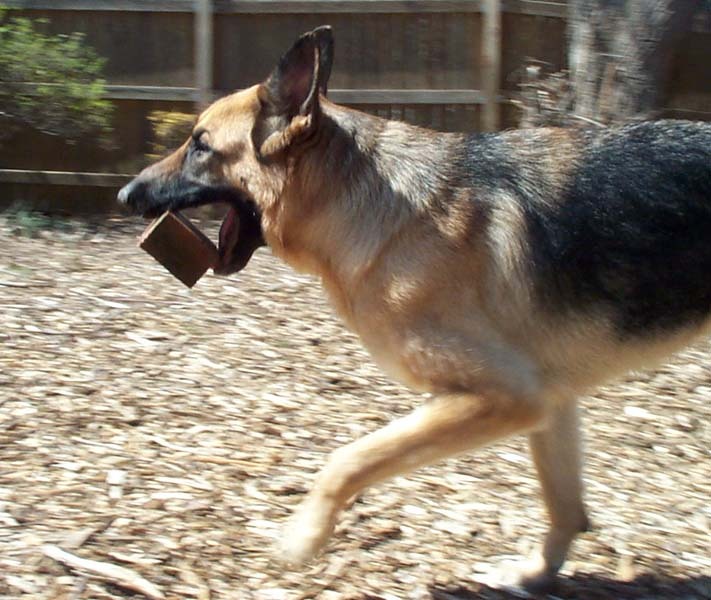 Sasha also participated in some rudimentary tracking until she retired from further training after a spinal infection. 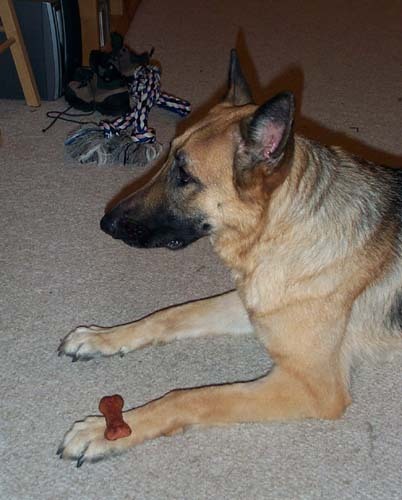 Unfortunately, Sasha became very ill this spring with a digestive disorder and was unable to recover. She was euthanized May 21, 2008. 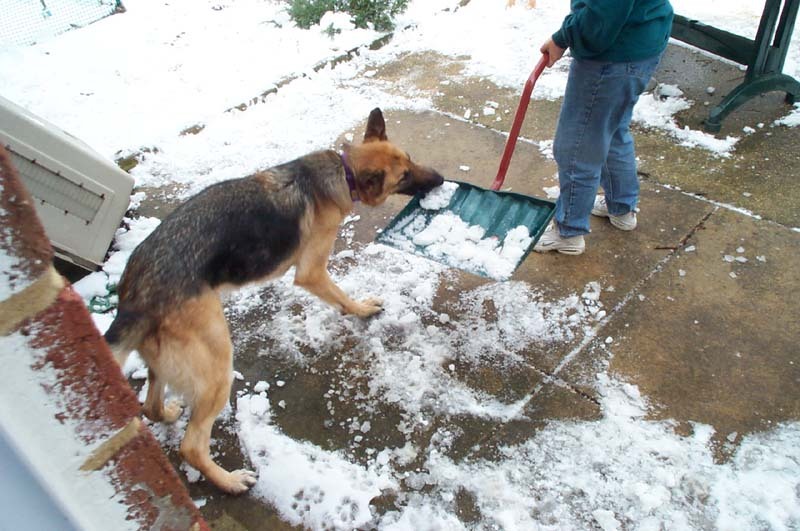 She was a very friendly, obedient, outgoing dog and will be sorely missed. Yes, she's still carrying that brick around! Click on any of the pictures on this page for a larger version.